A sage once wrote that a good marriage is like a fire around which others come to warm themselves. So, as we celebrate World Marriage Day on February 10, we realize that no matter our station in life – married, single or religious – we have benefited from this sacred covenant relationship whether through the example of our parents, grandparents, and other role models, or through our own stewardship of the marriage covenant. For the Catholic steward, marriage goes far beyond the legal or societal agreement that our culture might define. For the Catholic steward, marriage is a sacrament that fosters a sacred covenant; establishing the family and nurturing the domestic church which we understand is fundamental to our spiritual development. Marriage brings us countless blessings but is met with many obstacles. Busy schedules, the challenges of parenthood, the strains of finances, mortgages, issues of health and aging – all of these test the bonds of even the finest unions. 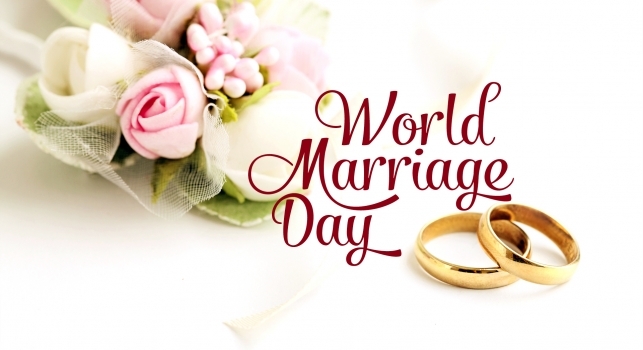 World Marriage Day, observed on the second Sunday of each February, is sponsored by Worldwide Marriage Encounter, associated with Catholic Marriage Encounter. Many Catholics have participated in a Marriage Encounter weekend, but no matter how we have endeavored to grow in and to support our marriages, or the marriages of those close to us, we know that marriage does take effort, continuing commitment, deep prayer, great communication, a good sense of humor and faithful love. This year, the observances of National Marriage Week, February 7 to 14, and World Marriage Day, are an opportunity to focus on building a culture of life and love that begins with supporting and promoting marriage and the family. Many parishes celebrate World Marriage Day by the renewal of vows, the celebration of special anniversaries, or even candlelit dinners in the parish hall. Take time this February to celebrate marriage, whether by setting aside a special time to devote to your own spouse, or by honoring the marriages that have warmed you and nurtured you throughout your life.